An offering based on7 strengths. In over thirty years of work we have developed an innovative, results-oriented methodology that combines the latest digital technology with the special skills of expert, mother-tongue translators to ensure unrivalled quality and speed. Our database contains details of over 3000 professional, mother-tongue translators with specialist qualifications and experience. 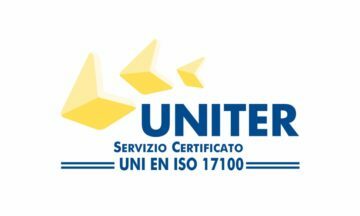 Our translators are selected according to criteria stricter than those required by UNI EN ISO 17100:2015, the standard governing translation services. Translating B2B and B2C texts requires different specialisations and skills. A high level of interpretative talent and experience is essential to guarantee the flexibility needed to handle all kinds of document. Flexibility means understanding the needs of each individual client and always adopting an approach aimed at achieving the best possible results. Efficient strategies and processes have always been part of our DNA. Our advanced technology ensures an ultra-rapid turnaround while keeping quality under constant control to ensure dependable excellence. 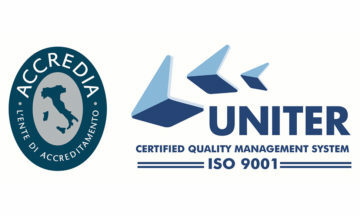 Certification to UNI EN ISO 9001:2015 and UNI EN ISO 17100:2015 proves that we really are committed to quality. For us, reviewing a text requires more than a quick read. We perform a complete check on content and ensure that the original message remains relevant and effective in translation. This is not just a question of standards: Omnia has implemented rigorous quality control ever since its formation. The first national standard was only introduced twenty years later. Focusing on the client means getting to know him, making him central to everything you do, anticipating his needs and proposing innovation – even assertively – whenever it will lead to effectiveness and profitability. We use the latest tools and technology to deliver professionalism and achieve excellence. WorldServer is our work flow management portal. It allows work flows to be personalised to suit the structure of our teams and the needs of individual clients. It ensures efficient information sharing not just internally but with clients and translators too. WorldServer simplifies and accelerates the process of localising all kinds of content, from websites to documents and software. Its efficient structure allows us to deliver top quality translations within deadlines and budgets. reduce the cost and complexity of task acquisition, evaluation and reporting. integrate with Trados Studio to create a linear localisation supply chain. prepare and monitor quotes for projects on the basis of the number of words, general and human resource costs. We were among the first to adopt Trados, the computer assisted translation (CAT) tool developed by SDL, global leaders in translation software. Trados provides easy access to a series of qualified language resources for all translation needs. What exactly is a CAT tool and what does it do? The purpose of a CAT tool is to allow previously translated and approved projects and content to be recovered using smart translation memory (TM) technology. This ensures that phrases and expressions are always translated in the same way and also reduces translator work load. MultiTerm is a terminology management tool used in conjunction with Trados Studio to improve the performance of translators by proposing the most appropriate term for the context. Our location in Italy’s Motor Valley and Tiles Valley has allowed us to acquire decades of experience in industries for which Italy is internationally famous. These include the automotive, mechanical engineering and automation industries, in which we work with some of the world’s most prestigious names, and the ceramic sector, for which we can rightly claim to be one of the world’s most specialised agencies. No two sectors or languages are identical: each inevitably has its own special requirements. That is why Omnia offers a range of professional translation services and places specialist resources at the disposal of all areas of business and industry.